We have visited Korea several times and I consider this country to be one of the cleanest we have travelled in. In fact it is so clean that bus tours are run to some of the toilets in Suwon. 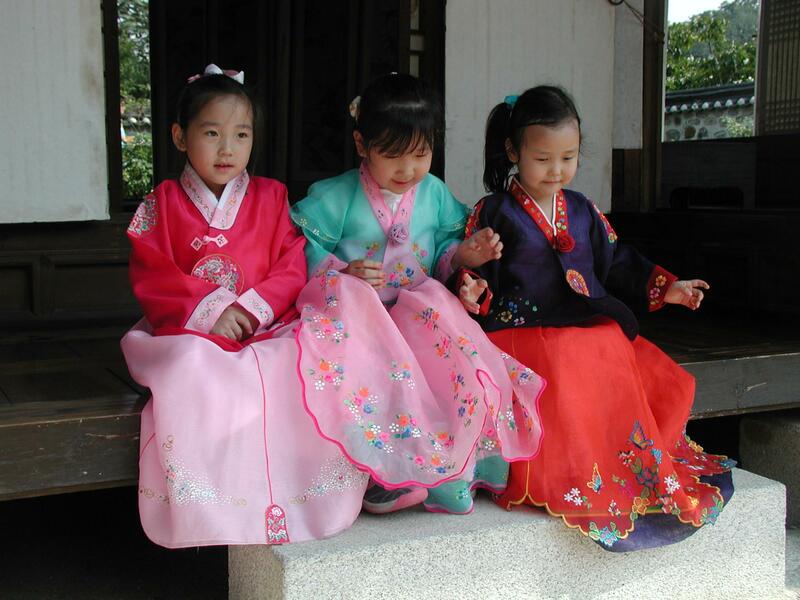 The Koreans are proud of the fact that they are immaculate. “Many developing countries have looked up to Korea as the leader in the development and management of clean public toilets. Sim, a former mayor of Suwon, started the clean toilet campaign in Suwon in 1995 and formed the Korea Toilet Association two years later to reach out to other parts of Korea. 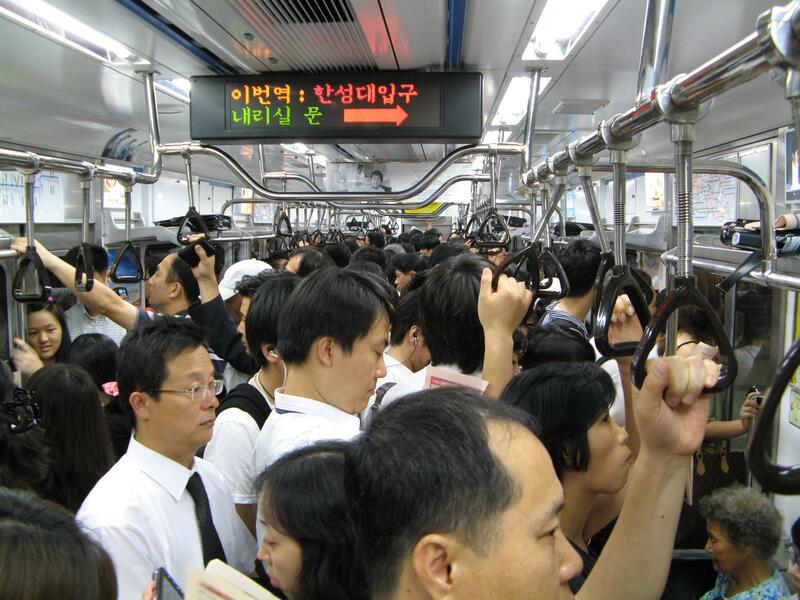 Check this post from “The musings and mutterings of a Montreal Madame” for another report, with photos, on the good toilets of South Korea. Railway stations are also clean, no graffiti. 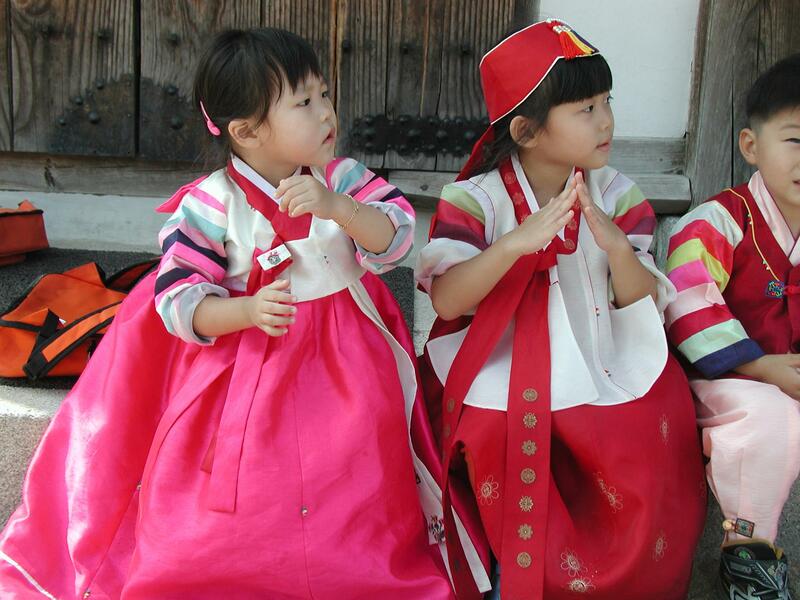 The Koreans are also proud of their national costume and I loved seeing the young children immaculate in the colourful Hanbok. So this is in response to Ailsa’s theme of “clean“. My vote for one of the cleanest tourist destinations I have been to. 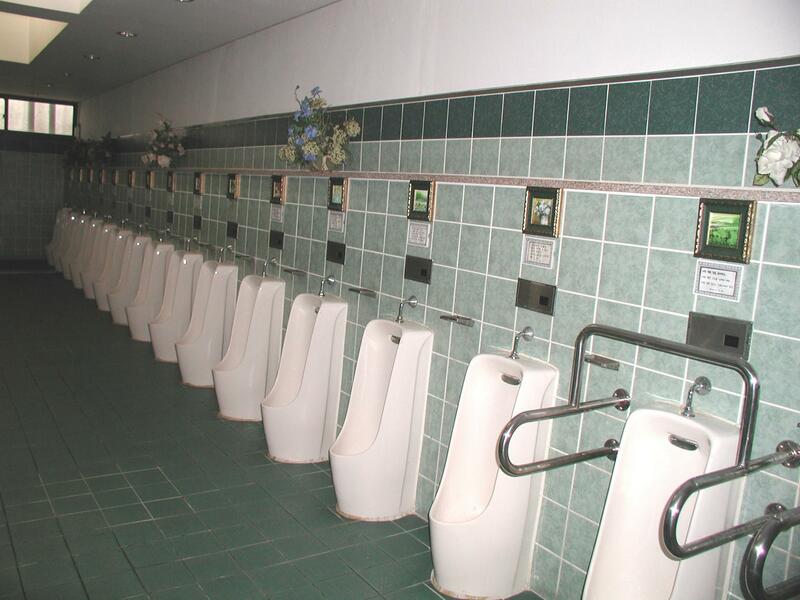 Such cute kids, but I can’t get over you taking photos of the urinals!! Did someone go in first and make sure it was empty? 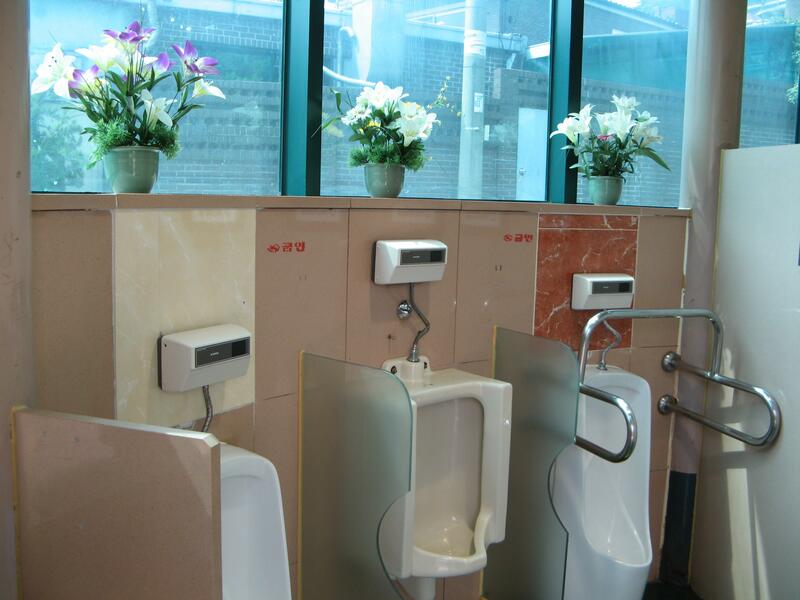 Love the flowers decorating the washrooms…. LOVE LOVE LOVE THESE photos. I was in Korea for 3 years and miss it quite a bit. I would go back there any time. I can understand you missing it. Well.. I’m shooting for it. I will at least visit in the next year as it’s one of the only places that is a direct flight from Nepal. Love them.